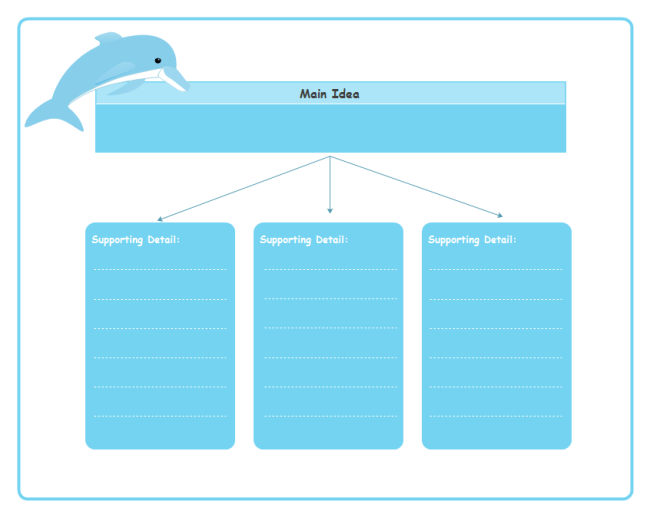 Description: The dolphin main idea and details organizer with three supporting details is free to download. Click the links below to access PDF or EDDX format. It's great to use as teaching material or worksheets for your students.